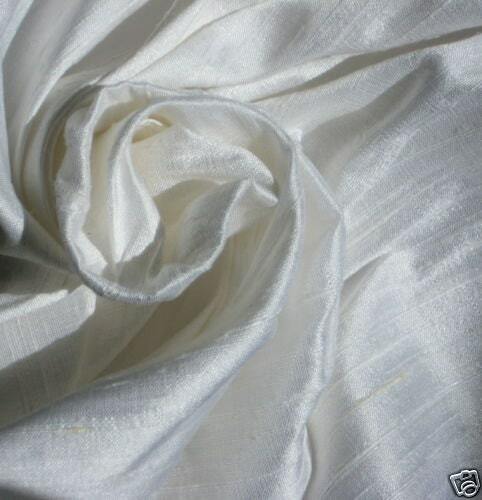 Pure White Dupioni Silk Fabric. Brand New High-End Dupioni Silk Fabric Yardage. 45 inches wide. This fabric is beautiful, I have tried and tested a few silks and this is of the highest quality. Beautiful fabric! Always a pleasure purchasing from this shop. Items arrived quickly and exactly as pictured and described. This fabric is of beautiful quality!